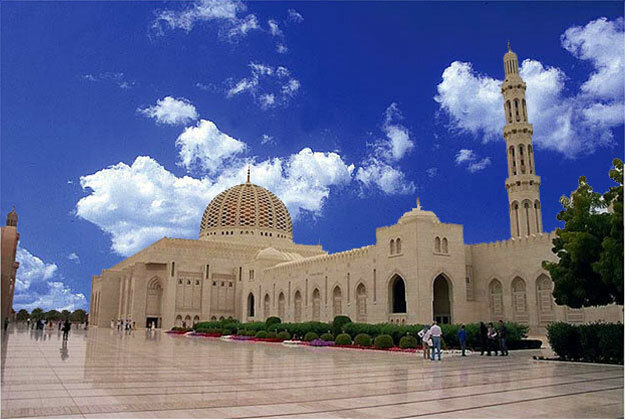 Sultan Qaboos Grand Mosque is the principal mosque in the Sultanate of Oman. The final design came from a competition instituted by Sultan Qaboos in 1992 after he decided Oman needed a Grand Mosque. Within its walls, the mosque houses the second largest single piece carpet and the second largest chandelier in the world. 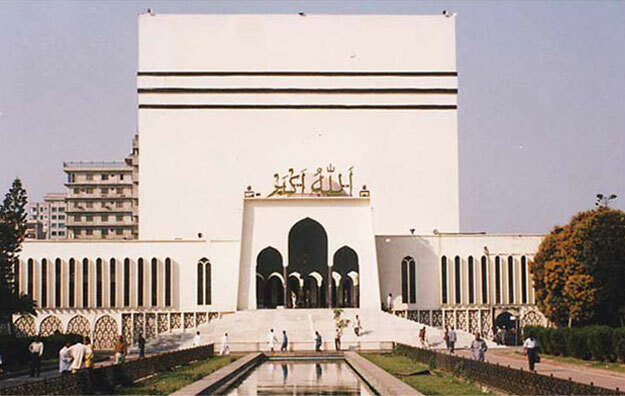 This mosque is the national mosque of Bangladesh and is located at the heart of the capital city, Dhaka. 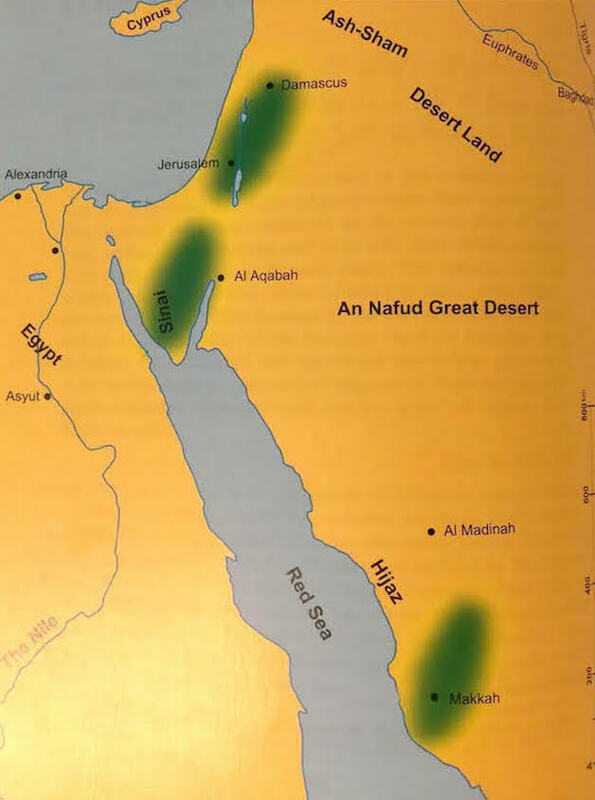 It was established in 1960, when it originally held 30,000 worshippers. Due to overcrowding, extensions to the mosque have been built, increasing its capacity to 40,000 worshippers. The building blends modern architecture and classical Islamic architecture, with designs intended to be simplistic in nature. Its most notable feature is its resemblance to the Ka’abah in Mecca. Sheikh Zayed Mosque is the largest mosque in the United Arab Emirates. It is named after Sheikh Zayed bin Sultan Al Nahyan, the founder and first president of the United Arab Emirates. The design of the mosque relies heavily on Moorish, Mughal, and Arab architectural design and contains four minarets and fifty-seven domes. It is also home to two world records: both the largest carpet and largest chandelier in the world can be found within its walls. 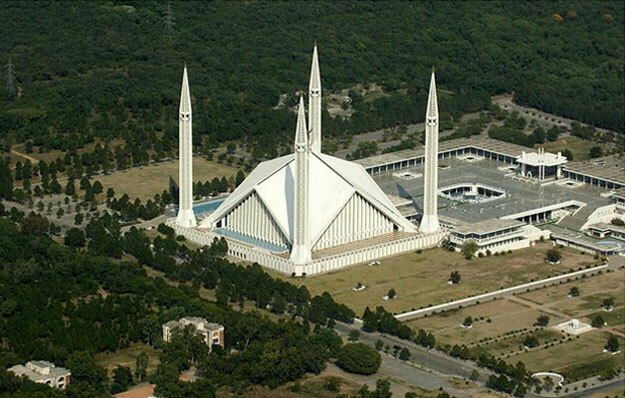 Faisal Mosque was conceived as the national mosque of Pakistan and has the capacity to hold 300,000 worshippers if its courtyards and adjoining grounds are included. The mosque was named after King Faisal bin Abdul Aziz of Saudi Arabia after his assassination in 1975. The late King was instrumental to the funding of the project. The mosque is located in Pakistan’s capital at the westernmost foothills of the Himalayan Mountains. Jama Masjid is the largest and most widely known mosque in India. Its name is a reference to Friday noon congregation prayers of Muslims. The courtyard alone can hold 25,000 worshippers. 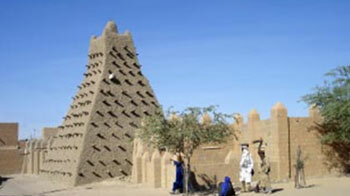 The mosque also houses Islamic relics, among them an ancient text of the Holy Qur’an written on deerskin. The building lies on a central street of Old Delhi, and has three gates and two minarets. The Hassan II Mosque is the largest mosque in Morocco and combines Moorish influence with modern architecture and scripture in its design. Nearly half of the surface of the mosque lies over water, which was inspired by a verse of the Qur’an, which states that “the throne of God was built on water.” Part of this area is glass, allowing worshippers to kneel directly over the sea. The building is also very modern: it is designed to withstand earthquakes and has a retractable roof. 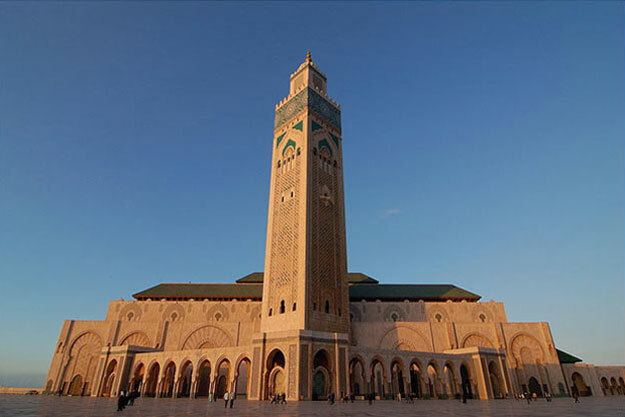 Last, but not least, this mosque also boasts the tallest minaret in the world, standing at 210 meters (689 feet). 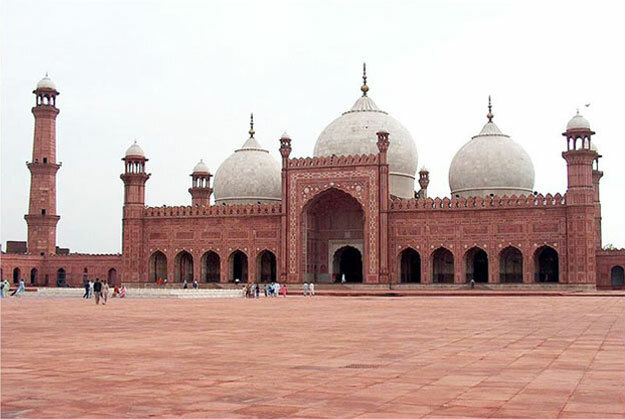 The Badshahi Mosque, or Emperor’s Mosque, is the second largest mosque in Pakistan and is a major tourist attraction in the city of Lahore. It is a classically Mughal building that has three domes and four minarets. It also boasts the largest courtyard of any mosque in the world; the courtyard is so large that the main platform of the Taj Mahal could fit inside it. Capacity: 120,000 (no reliable source, but everything on the internet uses this number when listing the largest mosques in the world). 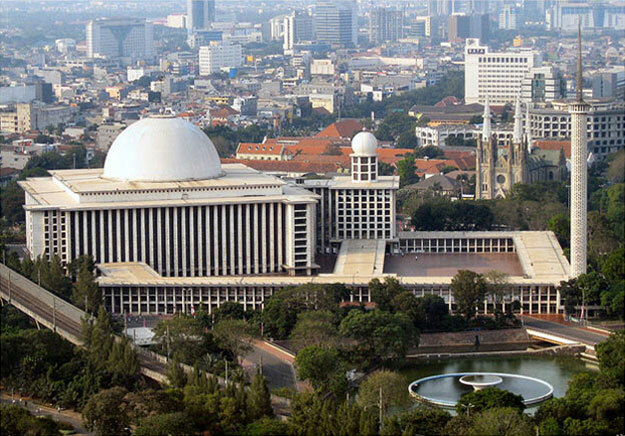 Istiqlal Mosque, or Masjid Istiqlal (Independence Mosque), is Indonesia’s biggest mosque and is located in the country’s largest city and capital. This mosque is the national mosque of Indonesia and was built to commemorate the nation’s independence in gratitude to God. The mosque deviates slightly from traditional Indonesian design and is deliberately simplistic on the inside. 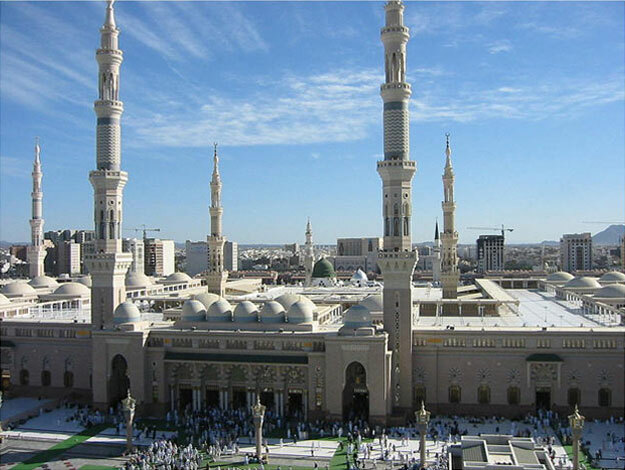 Al-Masjid al-Nabawi, often called the Prophet’s Mosque, is the final resting place of the Prophet Muhammad. The Green Dome, or Dome of the Prophet, covers the tomb of the prophet and is one of the most notable features of this mosque, which is considered the second holiest site in all of Islam. The original mosque was actually quite small, but the structure has been expanded and renovated heavily since 1925 after Medina surrendered to Ibn Sau’ud. The mosque is located in the center of Medina and is visited by many Muslims, especially those performing the Hajj. 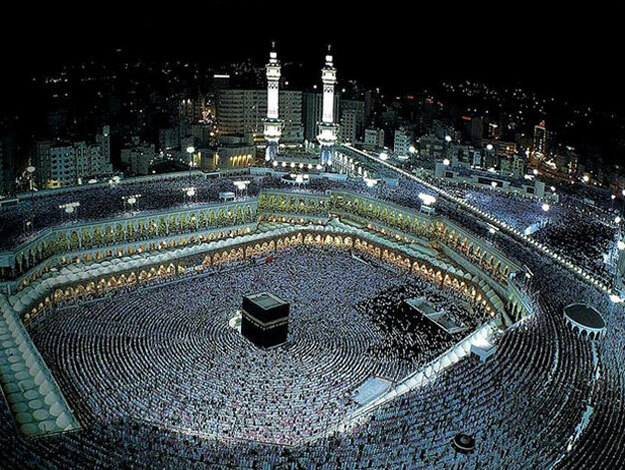 Capacity: 820,000, up to 4 million during the Hajj. Al-Masjid al-Haram, or the Sacred Mosque, is the holiest site in Islam. It surrounds the Kaaba, which Muslims around the world face during daily prayers. When both the indoor and outdoor praying areas are included, the mosque can hold up to four million people, making the Hajj period one of the largest annual gatherings of people throughout the world. The mosque has undergone extensive renovation and expansion under the Sa’ud regime with the most recent phase beginning in 2007.